Mobile users in India now have a new reason to rejoice as they will be able to port their numbers from one circle to other instead of shelling out money for the roaming charges. 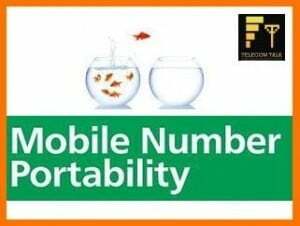 This move will come as a huge sign of relief for the floating population as they don’t need to change their numbers if they move to another telecom circle. DoT’s (Department of Telecommunications) decision-making wing gave the green signal to the National Mobile Number Portability (MNP) and the same will be implemented across all the telecom circles by March 2015. This decision is yet to be approved by I&B Minister Mr. Ravi Shanker Prasad. The total cost to set up the entire infrastructure would come up to $10 million and this would give a good boost to national players who have a strong presence across India. This move is likely to take away a good chunk of roaming revenues from the operators. This is an extremely important move as it is estimated that almost 12% of the mobile users are floating population. Seems like I&B Minister Mr. Ravi Shanker Prasad have not yet approved the National MNP. Will this delay the roll out ? Who knows what his intentions is. After that only official letters to Operators will be shared. Good move, but it would have been better if Roaming Charge itself were abolished. There would not have any need for paper work like filling of forms for MNP. Moreover the customers could retain their favorite plans which are now discontinued or not available in the new circle.